When we imagine livestock theft, we tend to think of it in terms of old westerns. We picture John Wayne shooting at cattle rustlers in grainy black and white. But any farmer or rancher knows that livestock aren’t cheap, and anything valuable is going to be a tempting target for potential thieves. In fact, goat theft is a big problem these days in California. In one county alone, so many goats have gone missing, the total loss adds up to $27,000. More than 2 million farms are spread across America. The sprawling state of Texas may be home to the largest number of farms in the U.S., but Missouri was a close second in 2017. These farms contribute hundreds of billions of dollars to America’s economy, producing agricultural products that are exported to countries around the world. Cattle, calves, and dairy products are among the top farm exports in the U.S. In America, we enjoy a food supply chain from farm to table that is generally affordable and safe. But how safe are our farms and ranches from theft? With over 20% of all U.S. farmers having been in business for fewer than 10 years, many farmers may not be aware of the security risks that affect the industry or of what options they have available to them when it comes to protecting their property, livestock, equipment, fuel, chemicals, and other resources. According to the Missouri Department of Agriculture, law enforcement officials have investigated more than 1,300 “rural crime” incidents involving agricultural property since 2009. These thefts represent millions of dollars in potential losses for farmers and ranchers in the state, many of whom may already be operating on narrow margins to stay in business. Fortunately, commercial security systems aren’t just for office buildings, retail spaces, and warehouses. Professional security services are helping farmers in Missouri and across the country protect their property, livestock, and other resources every day. There is a myth that the types of rural areas where farms are usually located are free of crime or that agricultural crime “doesn’t happen often enough to matter.” However, data from law enforcement agencies suggests that property crime is actually fairly common and that this type of crime can cost farmers a lot. Midwest ranchers and farmers are extremely aware of the value of their cattle. A 500-pound calf can go for $1,200 or more at auction. While cattle thieves see this as a low-risk, high-reward crime, it has a huge impact on the victims. It’s money straight from the bottom line and bread from the table. Most farmers and ranchers probably have insurance coverage that helps to protect against losses from theft of vandalism. They also employ fences and gates, use lighting around barns and other outbuildings, keep records, and use other measures to help identify animals and tell which ones are theirs. But in spite of all those fences and gates, many farms lack commercial security systems. 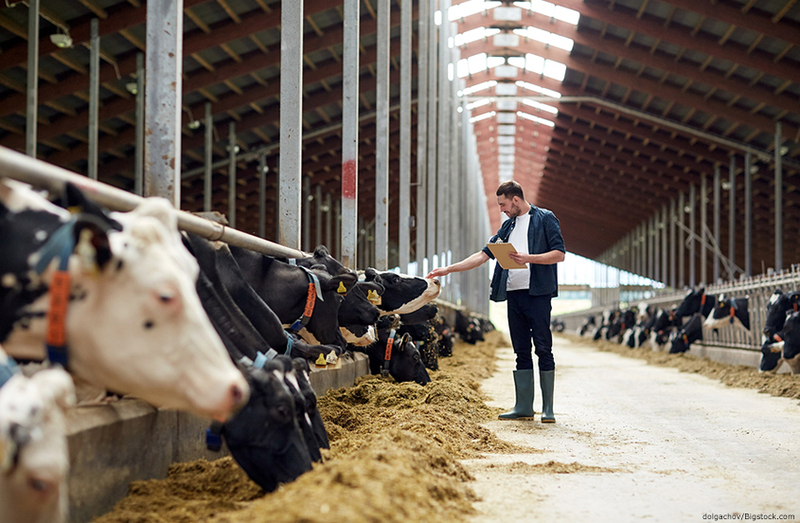 Today’s commercial security systems offer a wide range of security options—from security cameras to intrusion alarms—that can be configured to keep an eye on ranch or farm property just as easily. This can mean hooking up lights to motion sensors, putting access controls on gates and building doors, monitoring livestock and water supplies, or keeping an eye on expensive farm equipment. Access Controls: The same technology that secures gates on parking structures and warehouses can help to protect gates and driveways on the farm. The ProdataKey Gate.io is just one example of a solution ideal for protecting areas that are exposed to the elements without the need for extensive trenching or wiring. Theft or Intrusion Detection: From glass-break sensors to door alarms, the same kinds of security solutions that protect residential homes can also protect outbuildings, barns, workshops, and anyplace else on the farm where expensive equipment, vehicles, supplies, or chemicals are kept. Video Security Cameras: Odds are, most farms already have lights placed in the yard and around important outbuildings. By hooking those lights up to motion sensors, you’ve already added a layer of security to your farm. You can go a whole lot farther, however, by placing security cameras in strategic locations to help monitor everything from livestock to vehicles. With the right configuration of cameras and network video recorders, you can keep an eye on everything and even control your cameras from the comfort of your own home with a network keyboard controller and joystick. Beyond security, these camera systems can also help you keep an eye on livestock if they’re ailing or when you’re waiting for a cow to give birth. 24/7 Monitoring: You can’t be on your farm every hour of every day. You may have to go into town to pick up a part or a load of feed, or you might need to go to an auction to buy more livestock. With 24/7 monitoring, you can keep your finger on the pulse of your farm, even when you’re away. Notifications let you know about alarm events in real time, while cameras and access controls can give you immediate control through smartphone apps. Your farm is more than just a business. It’s your livelihood. In many cases, it’s something that’s been in your family for generations, and it’s something that you hope to leave to your own children and grandchildren. With commercial security systems configured for farm security, you can help protect your farm from “unwanted guests,” allowing you to effectively watch over your livestock, your equipment, and your supplies, even when you’re asleep or away from home. At A-TEC Security, we’ve been providing commercial security systems in Kansas City for more than 20 years. KC may be an urban area, but it’s surrounded by farmland on all sides, and we’ve all grown up around farms and seen the importance of farming firsthand. That’s why we understand the necessity of applying commercial security systems to farm security needs, and we can customize a commercial security solution that will help to protect barns, stalls, stables, lots, ranches, you name it. Want to learn more about how A-TEC Security can help protect your farm, your home, your family, and your livelihood? Contact A-TEC Security in Kansas City and get a jump start on keeping an eye on your property and your future today!